The latest version of Microsoft Office is the company’s best-selling edition to date, hitting the 1 million milestone just 100 days after its launch, Microsoft announced on Wednesday. 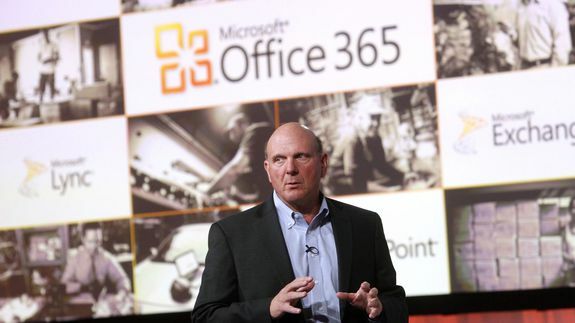 The company said Office 365 Home Premium — also known as Office 2013 — now has 1 million subscribers. The product, which was released in January and was designed for Windows 8, has been downloaded once every second, on average, since its debut. 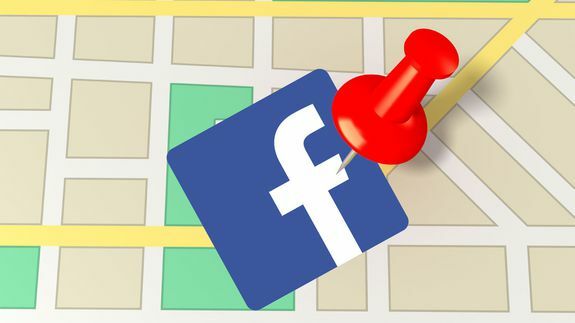 Waze, the social navigation app that is reportedly an acquisition target for Google, among others, on Thursday unveiled an upgrade that includes integration with Facebook Events. A successful mobile startup begins with a great idea. But its implementation requires thorough planning that will lead it to success. Surely, not everyone becomes a winner. The mistakes remain the same, and here we have formed a list of the most common reasons why some of the mobile startups eventually fail. Let’s look at the reasons, causes, and ways to avoid them. All these should be considered before even turning to software developers that will bring your idea to life. 1) Premature monetization policy. A mobile startup is a business – first you must decide the way it will bring you profits. How will you make money on the software product after it’s launched? How will you gain revenues later on? Will the application be paid or free? Will there be in-app purchases or some other means of monetizing? Only having bethought every detail of your future mobile software, can you choose from a number of monetization models, choose the one that suits best. If you have a limited budget – the app should bring profits as soon as possible. This means it has to be paid. But for that it must be superior to its counterparts, or feature some unique characteristics that will make it superb in solving certain problems. Or if it’s a social network, it will be a free app, but you must work out how many people you expect to attract, and how you will eventually get profits. Determine the right pricing to keep the product competitive. 2) Undefined target audience. Build an app for a specific audience of users. The better you specify it, the fewer are the chances to make a half-baked product – thus you can see the needs, the goals of the app, the problems it will solve – and thus you will implement the most needed features. Choose the market niche you want to occupy. Narrow the current, and it will get stronger. Think of your mobile customers first, only then think of revenues. 3) Getting outcompeted. Be sure to gather as much information as possible about the competing/similar products – and analyze it. You must have an ace in your sleeve that will make your app better, otherwise there will no need in it. Be cheaper/easier to use, have more features, provide more convenience. 4) Wrong budget planning. If there is a fixed budget for your project, invest the money with maximum efficiency. Choose what’s needed most, if the whole plan doesn’t fit in the budget. You may build an app with minimum necessary features, having left space for further improvements and updates. Your software developer will consult you on that choice. 5) Changes in the middle of the development process. You suddenly have a new idea and you want to bring it into the application. You may have more and more ideas – but any developer will say that changes in agreed features in the middle of development are highly undesirable – some are easily to add and implement, but some are not, if they need the already written code to be altered. This may take time and cause delays. And if you have a strict time limit, you risk to have an unfinished application in the end. Often it is better to launch the app as agreed, and develop a new version with new ideas and features later on. 6) Flawed customer feedback. This must be avoided at all costs. Communication with users shows that you care about their point of view. Feedback allows you to gather opinions, recommendations, thus make your software better with updates. A good and well-supported product lives longer. User reviews and rating on the application store hugely affect the overall picture. pps with an average rating more than 4 stars out of 5, will be high in users’ favor. To react to the feedback, you should have app support at your service, for possible bugfixing and updates. 7) Flawed marketing strategy. There are numerous ways to promote your startup app, and you must do your best to make it known. If you know your target audience, you know how to reach their attention by offering a product that will be worth its cost, functional, yet easy to use. Marketing takes as much time and efforts as development, if not more. Make sure to have promotional power behind your shoulders. 8) Inflexibility. Mobile market is constantly changing, changing right now. Customer requirements change, new trends and mobile devices appear, and more, and more. That’s why you must be quick and resolute to make a decision that will push your startup higher, you must react and adapt efficiently and quickly. Be ready for changes in your plan, if that will be of vital use for your software. These changes may not be that radical. But it’s never bad to be prepared. These are eight main reasons why mobile app startups fail. Following these notions does not guarantee success – there are many factors that may tip the scales against you. And the percentage of failed startups is high. But that’s business, and moving on, keeping these things in mind, will increase your chances for success on the mobile market.